Harry Sinclair Lewis was born in Sauk Centre, Minnesota, on February 7, 1885, the third son of Edwin J. Lewis and Emma Kermott Lewis. His father, grandfather, and older brother were all small-town doctors. Lewis was a lonely, awkward boy who liked to read. He began writing while in high school, and some of his articles appeared in Sauk Centre newspapers. After high school Lewis left Minnesota to study at Yale University in Connecticut, interrupting his education in 1907 to work briefly at Helicon Hall, a New Jersey socialist colony (a group of people living and working together as equals for the benefit of all) set up by the writer Upton Sinclair (1878–1968). After his graduation in 1908, Lewis spent several years doing newspaper and editorial work in various parts of the United States. His first four novels were all unsuccessful. In 1920 Lewis achieved instant worldwide recognition with the publication of Main Street, the story of a gifted young girl married to a dull, considerably older village doctor who tries to bring culture and imagination to empty, small-town life. Next Lewis focused on the American businessman in Babbitt (1922), perhaps his major work. Lewis purposely wrote in a fantastic style, ignoring formal plot development or structure. The creation of George F. Babbitt, an intellectually empty, immature man of weak morals who nevertheless remains a lovable comic figure, is Lewis's greatest accomplishment. One critic remarked, "If Babbitt could write, he would write like Sinclair Lewis." Lewis's next popular novel, Arrowsmith (1925), returned to the form of Main Street to portray a young doctor's battle to maintain his dignity in a petty, dishonest world. Despite its often simplistic look at science as a means of saving one's soul, Arrowsmith was offered the Pulitzer Prize. Lewis, however, immediately refused the honor because the terms of the award required that it be given not for a work of value, but for a work that presents "the wholesome atmosphere of American Life." Elmer Gantry (1927), an extreme assault on religious hypocrisy (the false expression of the appearance of goodness), seems more concerned with the main character's morals than with the failings of organized religion. Dodsworth (1929), a sympathetic description of a wealthy, retired manufacturer seeking happiness in Europe, is more successful. Here Lewis makes little effort to hide his liking of, and even admiration for, the values described earlier in Babbitt. In 1930 Sinclair Lewis became the first American to win the Nobel Prize for Literature, but this honor brought him little personal happiness. Lewis produced a great deal of writing in the following years, but none of these works were as successful as his earlier efforts. Ann Vickers (1933) traces the career of an unstable woman who starts as a social worker and ends as the mistress of a politician; Cass Timberlane (1945) deals with an unhappy marriage between a middle-aged judge and his loving wife; Kingsblood Royal (1947) takes on the subject of racial prejudice; and The God-Seeker (1949) tells the story of a New England missionary's attempts to convert the Native American Indians of Minnesota in the 1840s. Lewis spent his last years traveling throughout Europe, unable to find publishers for his work and aware that his impact on American literature was far less than his early admirers had led him to believe. Lewis was overshadowed by other American writers, including Ernest Hemingway (1899–1961) and William Faulkner (1897–1962), who had yet to appear when Lewis first attracted attention. Later critics also felt that the Nobel Prize Lewis had won in 1930 should have gone to the stronger novelist Theodore Dreiser (1871–1945) instead. about his physical decline, he refused to be seen even by his few friends. He died on January 10, 1951, of a heart attack in a small-town clinic just outside of Rome, Italy. Although Lewis is not considered to have been a great writer, his place in the history of American literature is secure. 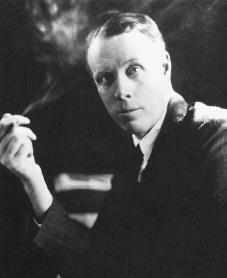 Hutchisson, James M. The Rise of Sinclair Lewis, 1920–1930. University Park: Pennsylvania State University Press, 1996. Lewis, Sinclair. Minnesota Diary, 1942–46. Edited by George Killough. Moscow: University of Idaho Press, 2000. Lingeman, Richard. Sinclair Lewis: Rebel from Main Street. New York: Random House, 2002. Lingeman, Richard R. Sinclair Lewis: America's Angry Man. New York: Random House, 2002.